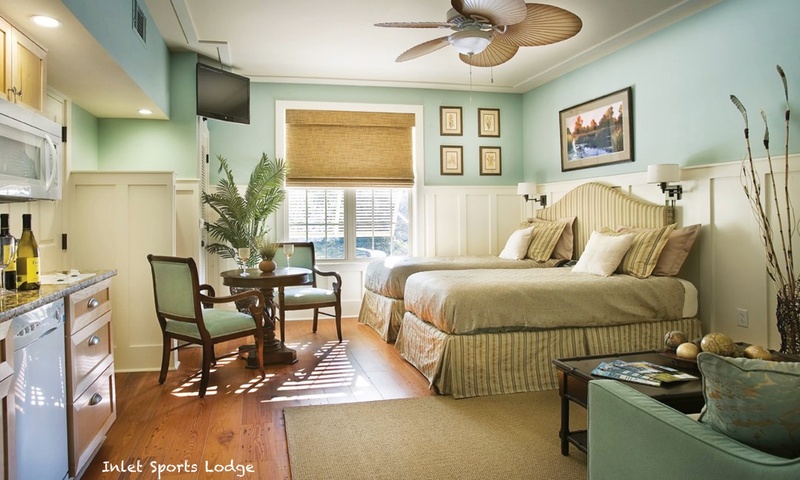 Inlet Sports Lodge offers luxury accommodation in a great location, situated in Murrells Inlet, close to restaurants, bars, fishing and boating activities along the Inlet. Facilities include Cōsta Italian restaurant and bar, room service and a small shop in the lobby. One of the unusual features is a storage locker for each unit for golf clubs, fishing tackle or whatever. These are located at the back of the property bordering the rear parking area. In addition, there is a meeting room, business centre and ‘widow’s walk’ rooftop view and patio. Also, there is an outdoor courtyard with grilling facility and a fish preparation room. A light continental breakfast, daily housekeeping, WiFi & parking are all included with stay. Luxury accommodation comprises 29 Deluxe Studios, featuring either a King or two extra-long pillow top twin beds. There is also a custom made Queen Sleeper Sofa in the lounge area. In addition, there is a full kitchenette with standard refrigerator, microwave, coffee pot, two top burner stove. There is also a dishwasher and basic cookware and dining utensils. Beautifully appointed bathrooms with walk-in showers feature four body jets and a rainhead shower head. Each room is also equipped with flat-screen TVs and iPod docking stations. Room décor features hand-carved mahogany doors, pine floors and antique-style crown moulding. There are also 5 two bedroom suites which comprise the standard deluxe studio with an adjoining bedroom to comfortably accommodate 3 or 4 adults or a small family. On-site you will find Cōsta, Coastal Kitchen & Bar offering an authentic Italian culinary experience. Within a quarter of a mile, situated right on the inlet with spectacular views you will find Nances Creek Front Restaurant, the popular King Street Grill and The Hot Fish Club, the oldest restaurant in Murrells Inlet. 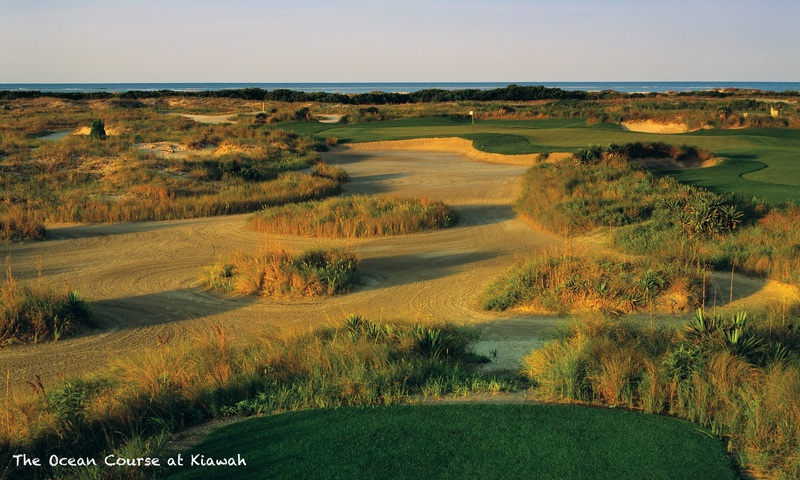 Just about a mile from the hotel you will find the ever popular Marshwalk area which is home to several restaurants, arguably the best nightspot in the whole Myrtle Beach and Pawleys Island area. Many of the restaurants/bars open late and several feature regular live music. Murrells Inlet is also famous for it’s fishing and boating activities and if you fancy taking advantage of the on-site grilling facilities at the hotel but can’t be bothered with that whole catching business, then there are two or three seefood markets where you can buy the days catch. See our Murrells Inlet page for more information.